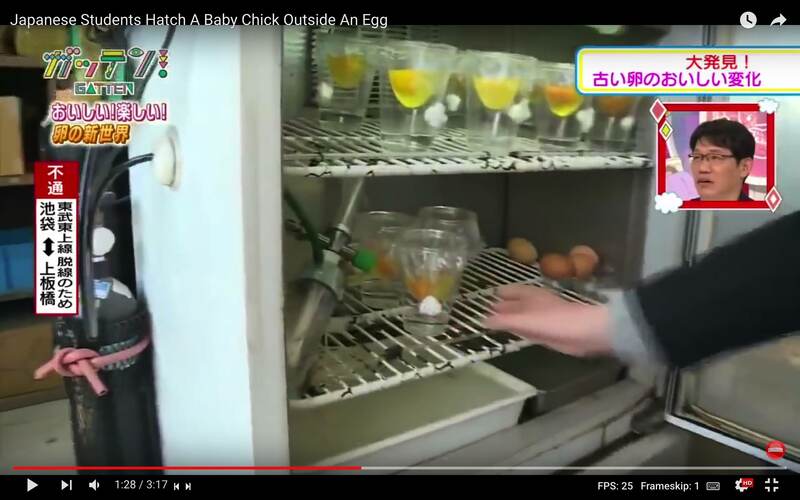 This YouTube video (screenshots attached) claims to show Japanese schoolchildren breaking an egg into a kind of clingfilm "hammock in a cup", and then growing and hatching a chick from it in an incubator. My first immediate thought is, "If this can happen, why don't the eggs in my cupboard at home sometimes hatch? Why do I never see an embryo in my frying pan?" 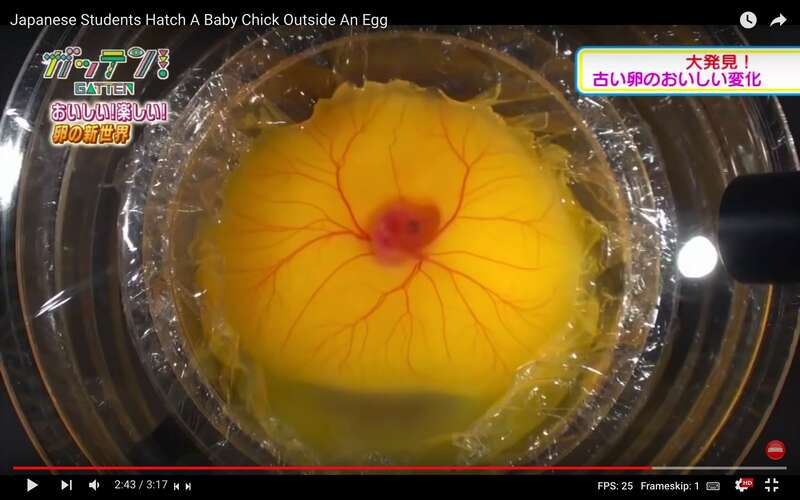 Obviously the egg has to be fertilised, but depending upon where you get your eggs (like an "organic home farm" or something) this might happen. What other biological requirements are there to make this work? Yes it is real, in the sense that this protocol has been through a peer reviewed journal. Note that the embryo is developing outside the shell, not outside the egg. 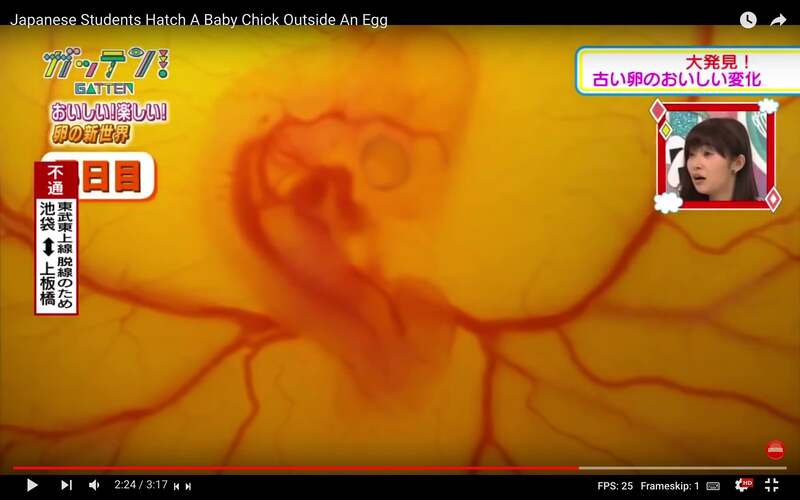 It is the fertilized egg that develops into the embryo. The shell only provides protection and allows exchange of gases. You can replace the shell with any other material that does the same job. Embryos of non-placental animals can grow in a petridish as well. Someone seems to have done this back in the 1980s (Scadding, 1981). You can see a video along with the detailed protocol of this process in this article published in the Journal of Visual Experimentation. Why do I never see an embryo in my frying pan? Because it has probably become an omelette. how warm do the eggs have to be? 37-39oC is the ideal temperature and usually hen eggs hatch in 21 days (common poultry facts). However, the incubation time can depend on other factors (including temperature) such as humidity and air composition. Not the answer you're looking for? Browse other questions tagged embryology literature eggs chickens or ask your own question. 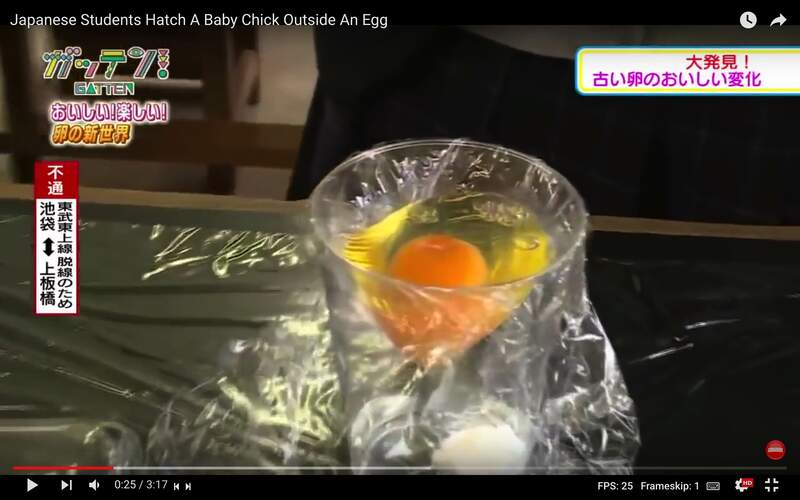 Can a rotten egg actually hatches to a real life? Would some dinosaur egg be the most massive cell that ever existed? Are dinosaur egg relatively small compared to eggs of modern birds? Is it possible to grow a fertilized human egg entirely outside the woman's womb? 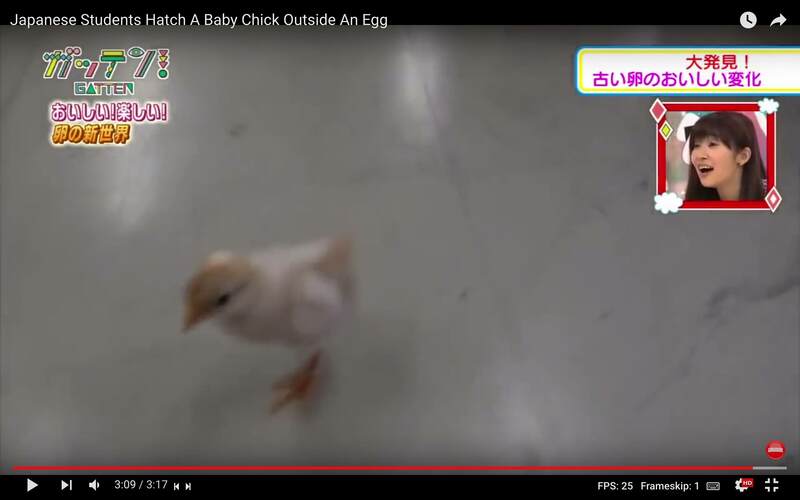 How can a coldblooded animal make an egg hatch?